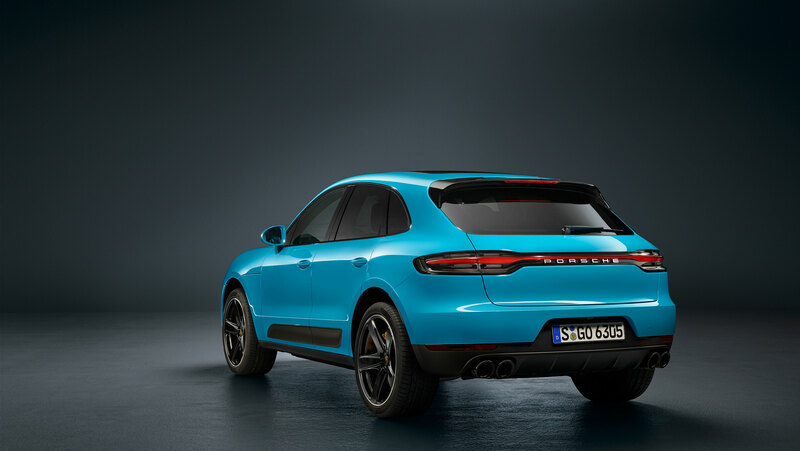 Year, Make, Model: Porsche revealed its refreshed 2019 Macan crossover in Shanghai on Wednesday, introducing numerous, subtle updates to the brand's volume seller. What's New: The most noticeable change here is probably the compact SUV's new taillight strip. 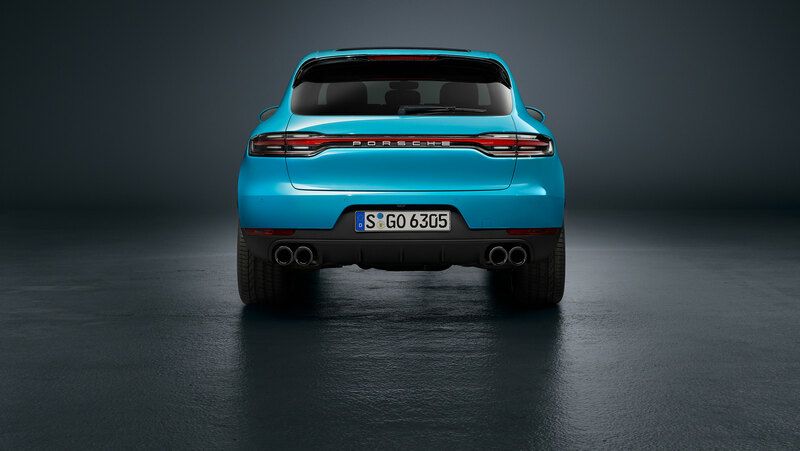 Stretching across the width of the Macan's rear end, the design can also be found on the current Cayenne, Panamera, and according to Top Gear, the next 911. While the new Macan's headlamps might look unchanged at a distance, they actually get new LEDs. The utilitarian Porsche's entire front end has, in fact, also been reworked but it's one of those facelifts you can only spot if you own the old model, are currently looking at a picture of the old model, or are just really into Porsches. On the inside, the Macan gets a new 11-inch touchscreen, redesigned air vents that now sit below the infotainment screen instead of flanking it, and a steering wheel lifted out of the 911. Making its way onto the options list are an available heated windshield and interior air quality ionizer. Also newly available are paint colors Miami Blue, Mamba Green Metallic, Dolomite Silver Metallic, and Crayon—that solid, light shade of gray that seems to be the matte black of 2018. 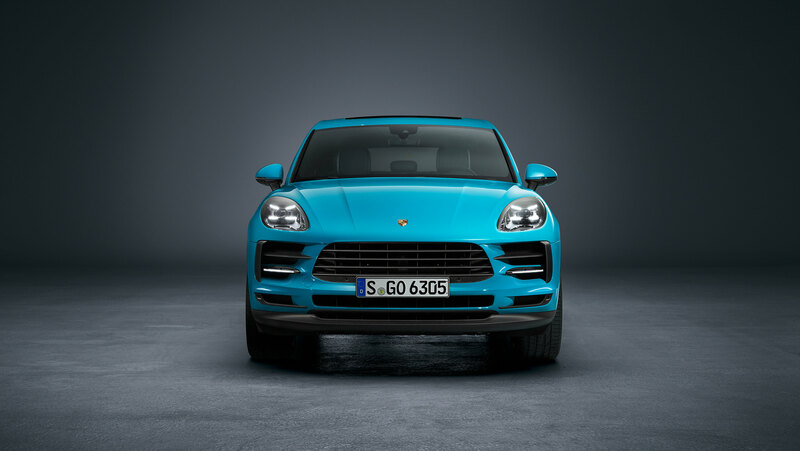 Quotable: Per the German automaker's press release, "The compact SUV has been a great success since its launch in 2014, and has now been significantly enhanced in terms of its design, comfort, connectivity and driving dynamics, allowing the Macan to remain the sporty flagship in its segment." 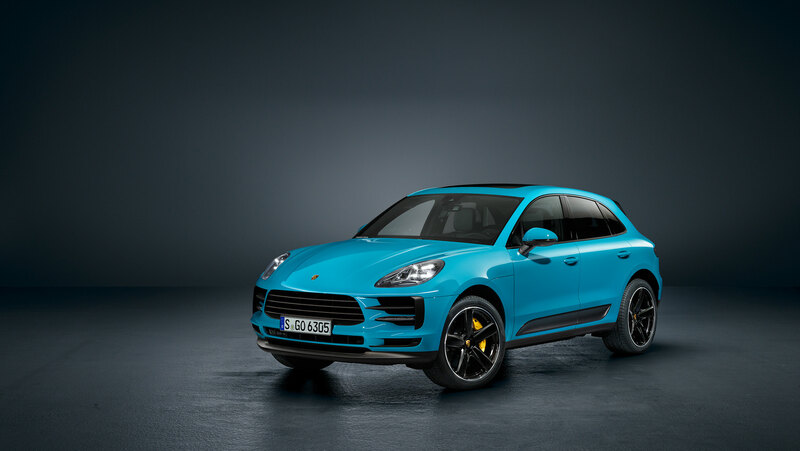 What You Need to Know: On top of the cosmetic and convenience changes and additions, Porsche says it has also made improvements to the chassis, supposedly upping the Macan's on-road stability, comfort, and relatively sporting demeanor. The current 2018 Macan starts at $47,800. Expect the refreshed model to go for around the same price and be available at the end of September. Porsche is preparing to launch the revised crossover at the end of the July. Is A New Porsche Macan Faster Around The Track Than A Porsche 944 Turbo? Can one of the best sports cars of the 1980s compete with the modern tech in a modern sporty CUV at VIR?